Join us on an epic journey across Europe - from Olympic Park London, via beautiful Essex countryside, to Harwich and across to Holland. We shall then explore the spectacular Dutch cycle path network, taking in canal side riding, and even an amazing open crossing over the Markermeer, before the final ride into Amsterdam, and doubtless one big celebration! Day 2 - (29/6/18) 128km. (*NB optional side excursion available) Early meet in London's QE Olympic Park for your initial briefing (08:30), bike checks, and collection of baggage for transfer by support vehicle. Ride out of London via the tranquil Essex countryside towards the Port of Harwich, where we will board the ferry for a night crossing! Please note, you should be aware that it is exceptionally important that you consider your personal fitness and health before agreeing to participate in such a physical challenge. You should have undertaken a good amount of cycle training and you should be used to cycling distances of greater than 40 miles in a day. IF YOU HAVE ANY DOUBT ABOUT YOUR FITNESS PLEASE DISCUSS YOUR CONCERNS WITH YOUR PERSONAL GP. PLEASE DO NOT AGREE TO PARTICIPATE IF YOUR GP SUGGESTS THAT YOU SHOULD NOT BE UNDERTAKING THE CHALLENGE. In any case, please ensure that you fill in your medical and fitness details accurately and truthfully. We recognise that everyone should have the best opportunity to participate in our challenges, but we must take every possible measure to ensure participant’s safety. Pre-existing medical and health conditions are a potential high risk in these events—hence we must be made aware of them. NOTE - if you are intending to bring your own bicycle, you should ensure it is in good condition, and serviced prior to coming out. If Adventure Cafe Staff deem it to be unsafe, they will insist that you hire another bicycle locally. It is important challengers do not underestimate the importance of preparing for the challenge. All riders should be proficient cyclists by the event date. Please call Adventure Cafe on 01823 444246 If you are in any doubt and we shall be pleased to help. To join this challenge - the total cost is £500 - this will be paid for SJP Partner's and employee's via deductions from Capital account or salary sacrifice. External participants should contact Kym Rutterford (Kym.Rutterford@sjp.co.uk) to arrange payment by credit card. Please ensure you enter your name precisely as it appears on your passport - this is important for travel arrangements (overnight ferry). 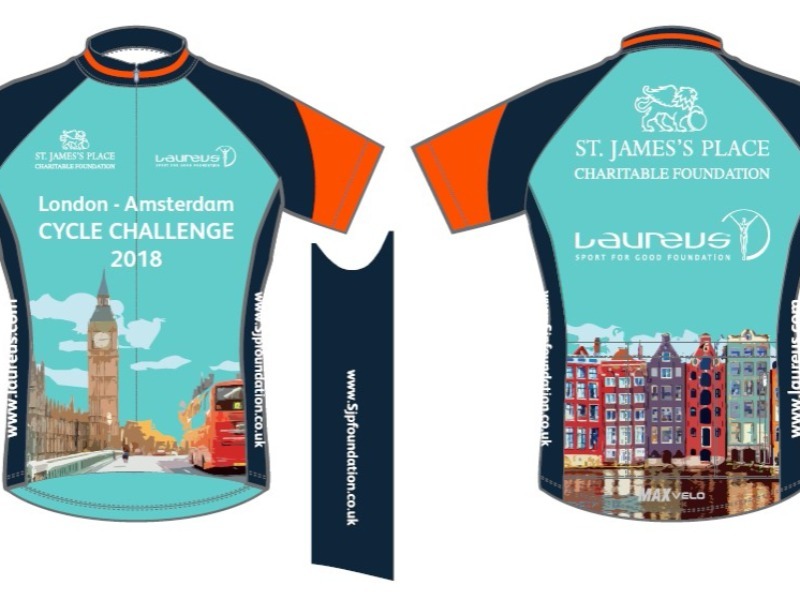 Please confirm you would like to be added to the SJP London Amsterdam Cycle Challenge waiting list.